"Pills & Automobiles" is a song by American singer Chris Brown, featuring American rappers Yo Gotti, Kodak Black and A Boogie wit da Hoodie. The accompanying music video was released on August 25, 2017. It was filmed in Splash Kingdom Waterpark in California. 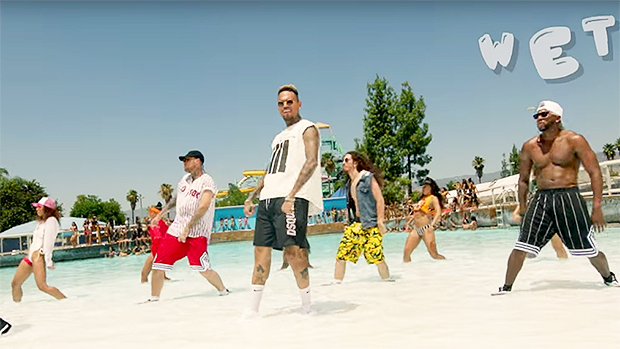 It shows Brown and his dancers dancing in a shallow pool, intercut with scenes of women twerking. Gotti came on the scene surrounded by women. A Boogie later hopped into the pool and sat on an inflatable float as he raps, while Black had a party elsewhere and rides a dirt bike.